Cremation has been an accepted part of the human experience for thousands of years. Some cultures primarily use cremation other cultures primarily use earth burial. Here in Montreal, approximately 65% of families choose cremation. Some families choose cremation to follow the wishes of their loved one, others because of an established cultural tradition, and some because they see it as the simplest choice. For families who forego both gathering and ceremony, but recognize the need for the immediate family to see their loved one for a short moment one last time before the cremation. For families who wish to have the opportunity to honour the life of their loved one by holding a simple, yet uplifting, ceremony. Families choosing this option may also choose to hold the ceremony before the cremation and have their loved one’s body present or they can hold it after the cremation and have the cremated remains displayed in an urn of their choice. For families who wish to honour and celebrate the life of their loved one by having a unique farewell event. Family and friends are offered a time and a place to gather before and/or after the ceremony. At the time of a loss people have a natural desire to gather together to support each other and express their condolences. This type of farewell can also be held either before or after the cremation. Farewells can be held at the location of your choice. It could be here at our funeral home but we have also organized and staged farewells at community centers, private clubs and even private homes. We will coordinate all of the details or just a few, depending on how much involvement you would like us to have. Regardless of the location, we work hand in hand with families to organize Loving Farewells®, funeral services or memorial events that honour the unique life of a loved one and respect the emotional needs of those who are left behind. 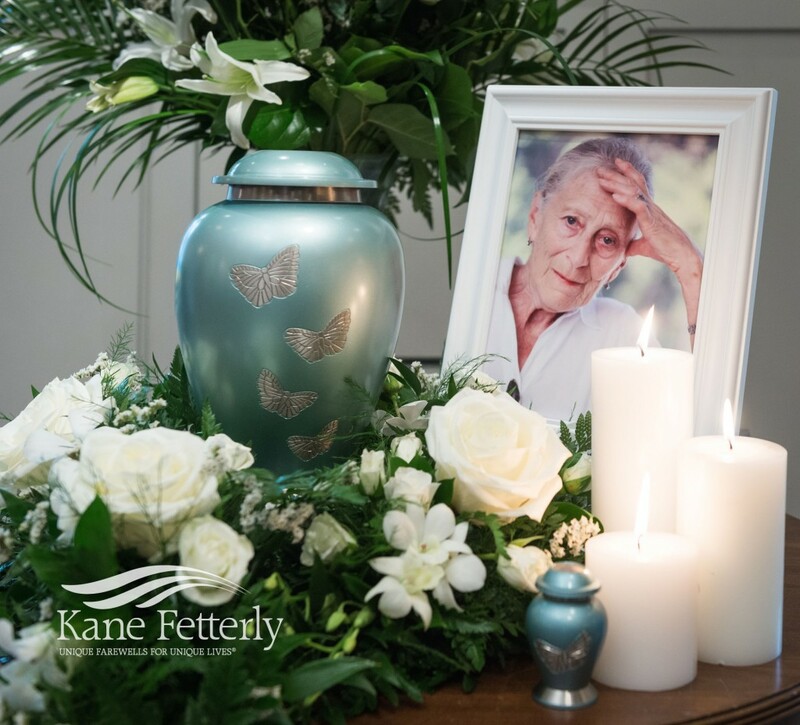 Whether you are choosing cremation or burial, your options are never limited at Kane & Fetterly.